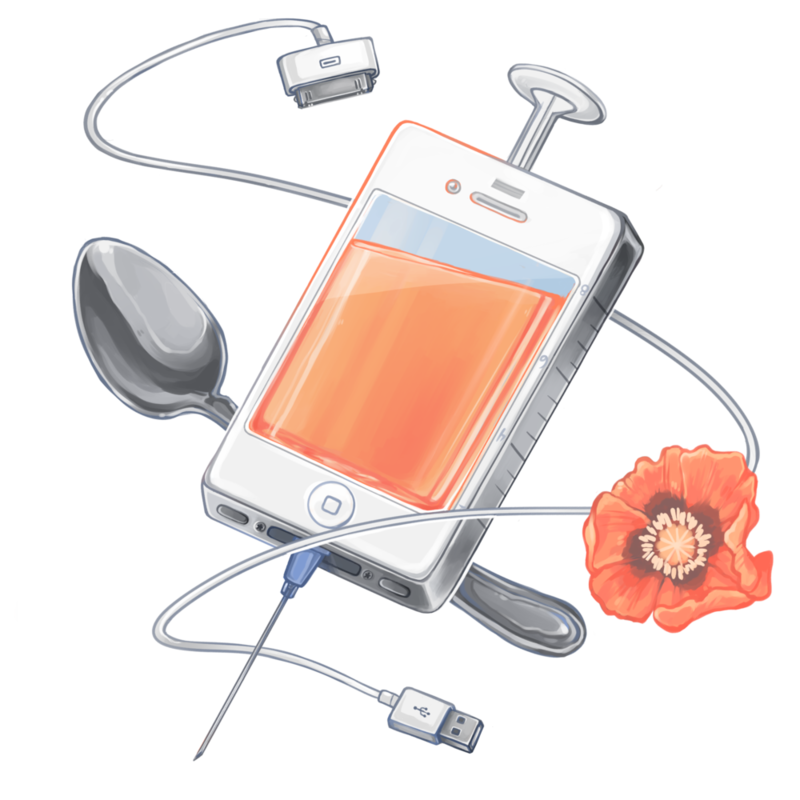 The issue of smartphone overuse is a growing hindrance in our society today. Roughly 83% of people are distracted by their smartphones in a social setting, and with mobile apps and new websites constantly on the rise, a solution was in order. 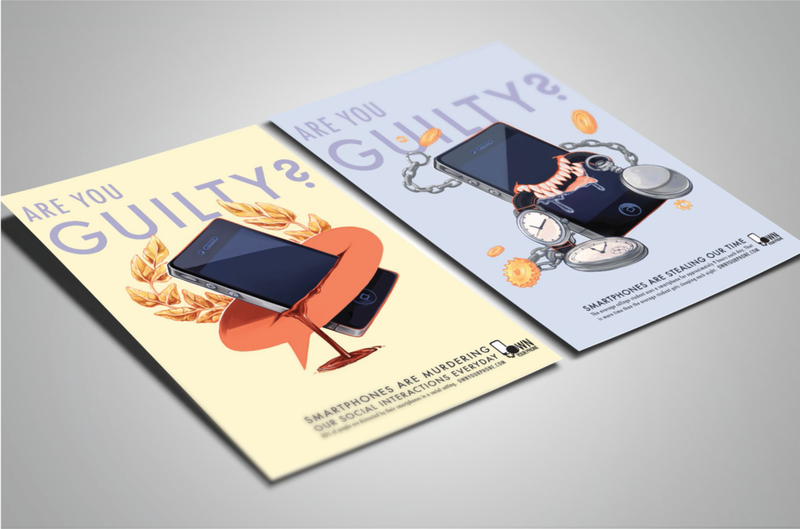 Our design team was charged with the task of creating an ad campaign to persuade people to reduce the unnecessary or compulsive use of their cell phones. 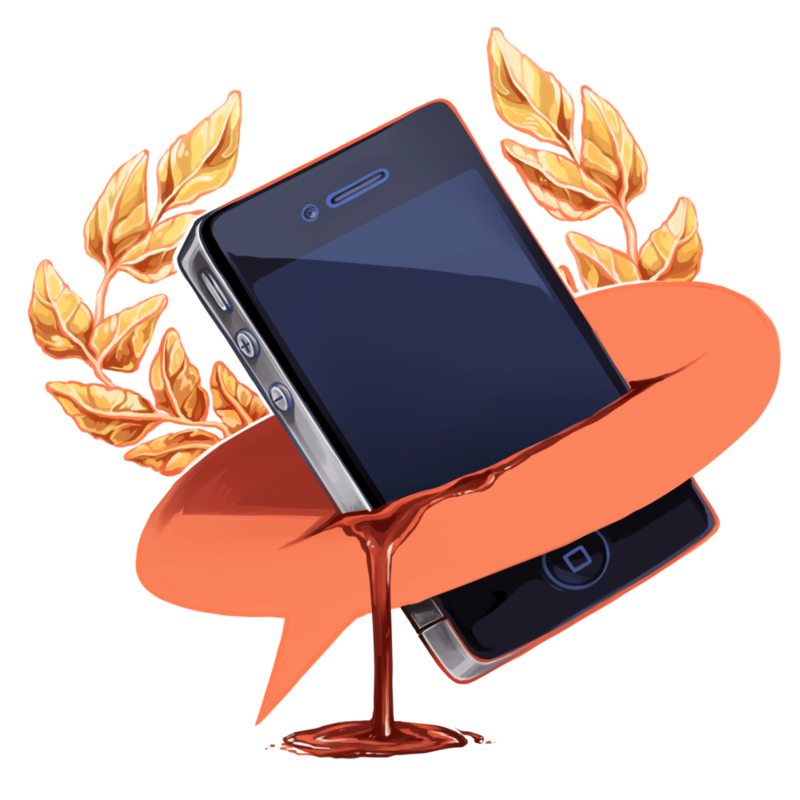 Checking your phone obsessively during social interactions feels almost criminal. 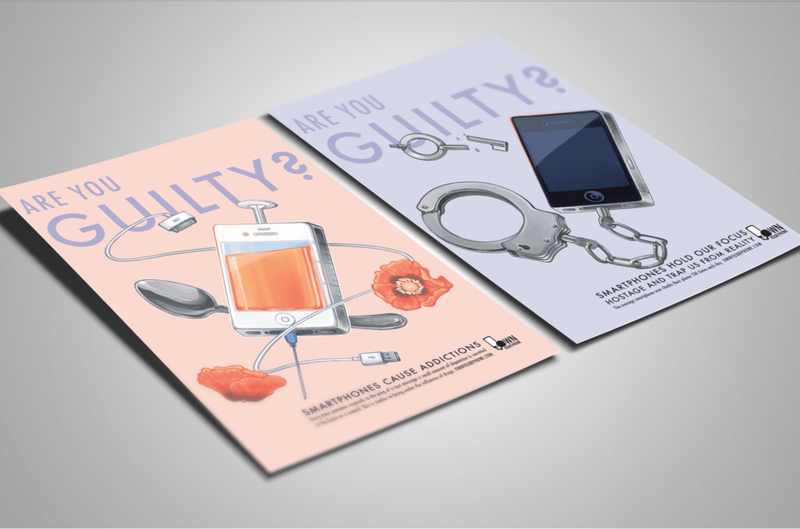 We decided we would emphasize the nature of these "crimes" using corresponding visual themes applied to smartphones: murder, theft, addiction, and abduction. First sketch of initial concept. The process began with an initial concept sketch of our visuals. From there we nailed down the "crimes" we wanted to represent, based on statistics of cellphone overuse. The pieces created by me are featured, as well as the flyer designs developed by another team member. Additional pieces in the campaign included: Large poster, billboard design, infographic, website, small installation piece, and magazine spread. Team members: Kiera Vorse, Kirsten LaChance, Christen Nicholas, Zdravko Todorov, Isabella Ambrosio.